Please accept my fallen obeisance’s, and my love, on this auspicious day of your disappearance. 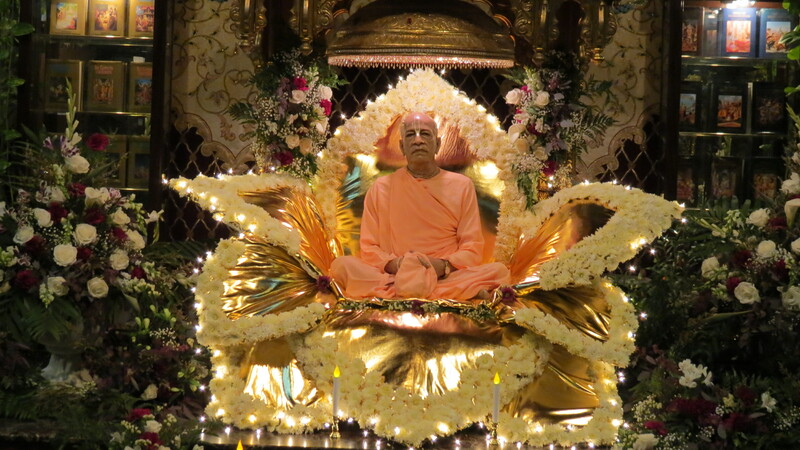 With your arrival on the shores of America, you brought with you the shinning lamp of knowledge; the wisdom on India and the Supreme Absolute Truth. You appeared on the shores of America the way the sun appears on the Eastern Horizon. Slowly revealing itself at first, then dominating the sky with its blazing effulgence. Illuminating the entire world with its golden light. Where there is light there is no darkness. And wherever your words are being sung and repeated, there is a glimmer of hope for the materially conditioned souls. Your words and instructions are the very life and soul of a genuine disciple. It is said that the best process of understanding Krishna is to hear about Him, either from Krishna Himself as given in statements from the Bhagavad-Gita As It Is, or from the self realized pure devotee. One does not even need to change his worldly position; he simply has to hear the message of Krishna. 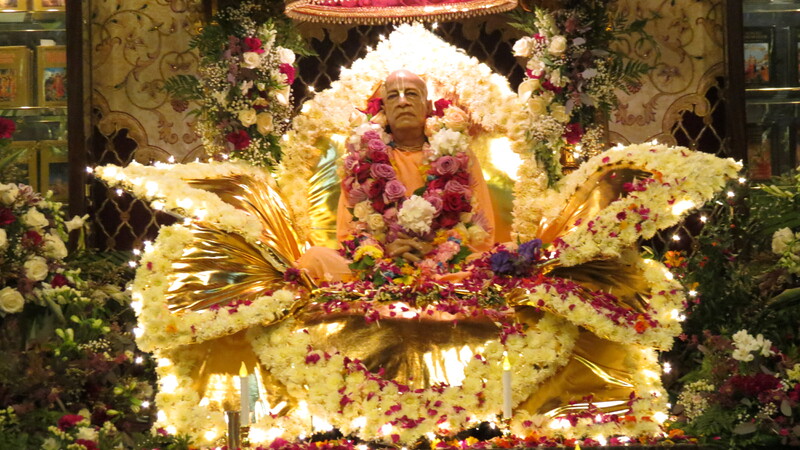 It is from you only, Srila Prabhupada, that I know anything at all about Krishna or the spiritual world. By your grace only, the knowledge is revealed, and you become revealed to your disciples and listeners. Anyone who submissively hears from you, either by reading your books, or hearing your lectures, can attain the highest perfectional platform. Just as there is the sun and the sunshine, so, there is Krishna and Krishna’s pure representative. When we feel the sunshine, we know the sun is there, and when we hear from you, we know that Krishna is there.